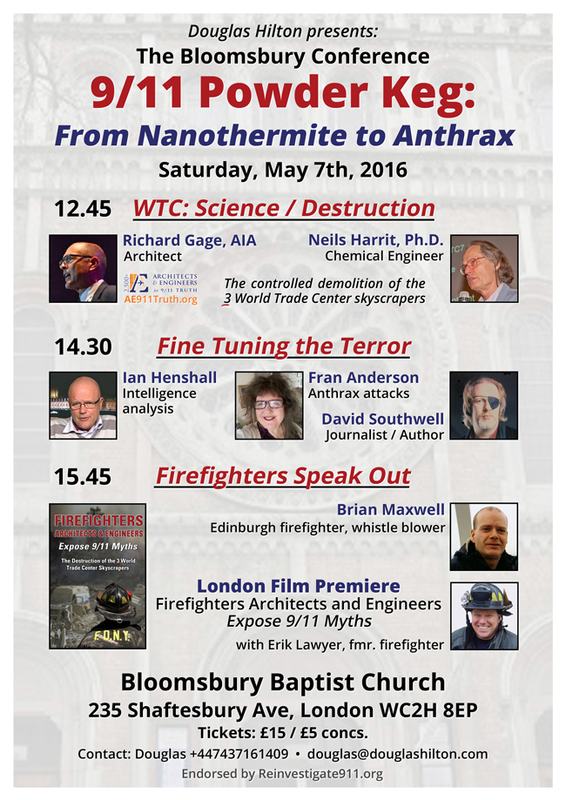 Dr. Niels Harrit and Richard Gage, AIA, from AE911Truth, will be highlighting an afternoon 9/11 conference at the Bloomsbury Baptist Church, 235 Shaftesbury Ave, London WC2H 8EP Saturday, May 7, from 12:45 to 18:00. Additional details can be found on our Facebook Events section here. 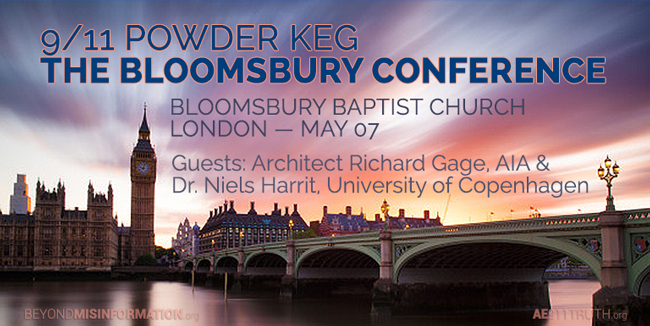 Richard and Niels will also report on their successful private presentations to several dozen fire protection professionals and consultants, at a high-level event in Westminster, from this past week.